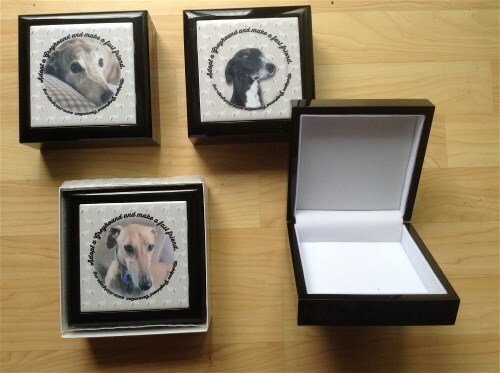 Beautiful tile ceramic box lined in white velvet for your keepsakes. Size is 5.5" by 5.5". Available in fawn, black or brindle dog design.